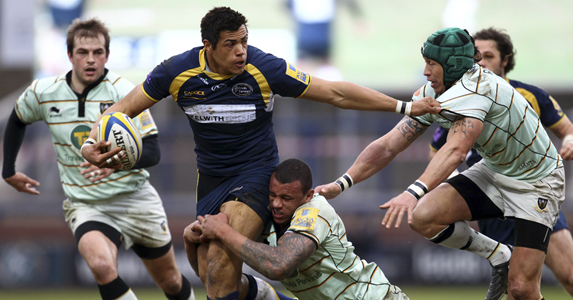 Crossing the Pennines to join the Sale Sharks Revolution next season will be centre Luther Burrell. Aged 23, Luther was born in Huddersfield, for whom he played as his first club. Luther joins team mate Kearnan Myall who joined the Sharks from Leeds Carnegie last month. Luther made one appearance in National One for Leeds Tykes during 2006-7, but has become a regular first-team player during the past two campaigns. He has made 41 senior appearances, scoring 8 tries. Luther has also played Rugby League for Huddersfield Giants and trained with Carnegie’s sister club, Leeds Rhinos. He widened his Union experience with loan spells at Otley and Rotherham. Luther is 6ft 3 ins. tall and weighs 16st 5 lbs.